Designed to comfortably seat up to seven passengers, the full-size 2019 INFINITI QX80 is the perfect SUV for big families. Its luxurious cabin and bold styling promise to leave you impressed. Class-exclusive safety features make the QX80 even more rewarding. Let’s find out what separates the 2019 INFINITI QX80 from the competition. All versions of the new QX80 come equipped with a 5.6-liter, Endurance V8 engine. It’s tuned to develop a formidable 400 horsepower and 413 pound-feet of torque. A seven-speed automatic transmission smoothly routes the available power to the wheels. With a tested 0-60 time of 5.9 seconds, the QX80 is easily among the quickest SUVs in the segment. You can also take advantage of the QX80’s 8,500-pound towing capacity. While rear-wheel drive comes standard, INFINITI’s optional All-Mode 4WD system gives you the maximum traction during challenging driving conditions. For good reason, Edmunds gives the QX80 nearly a five-star rating for its precise handling. An available Hydraulic Body Motion Control suspension enables the QX80 to take corners like a much smaller vehicle. Very few SUV’s can rival the 2019 INFINITI QX80’s level of comfort. Everyone will have plenty of room to spread out. Available heated and ventilated seats enable you to further unwind. Boasting Alcantara upholstery and a black Ultrasuede headliner, the range-topping Limited model has an especially luxurious feel. While behind the wheel, you can enjoy the QX80’s extensive list of high-tech features. The SUV’s 8.0-inch touch screen easily links to your smartphone. Some of the other standard equipment includes a 360-degree parking camera, satellite radio, and navigation. Although the standard Bose sound system will satisfy most people, the 15-speaker Bose Cabin Surround system delivers an even more captivating music-listening experience. A Wi-fi hot spot is offered as well. INFINITI built the QX80 to provide superior impact protection. If you desire a greater sense of protection, opt for the Driver Assistance package. It comes with a number of helpful driving aids. While the Blind Spot Intervention system takes the stress out of changing lanes, Predictive Forward Collision Warning can actually anticipate an accident two vehicles ahead. Some of the other cutting-edge safety technologies include Forward Emergency Braking with pedestrian detection, lane departure prevention, and intelligent cruise control. The 2019 INFINITI QX80’s smooth driving dynamics, long list of premium features, and world-class safety technologies make it hard to beat. 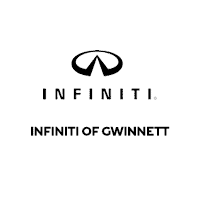 To experience everything the new QX80 has to offer, contact us at INFINITI of Gwinnett to request a test drive.